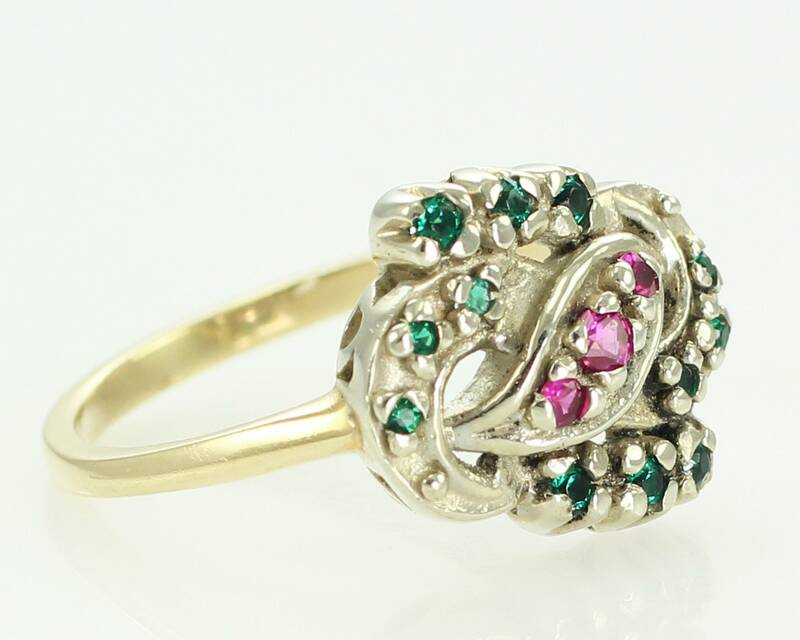 Vintage Lab Created Emerald and Ruby Cluster Ring of 14K White and Yellow Gold with Love Knot or Infinity Design. 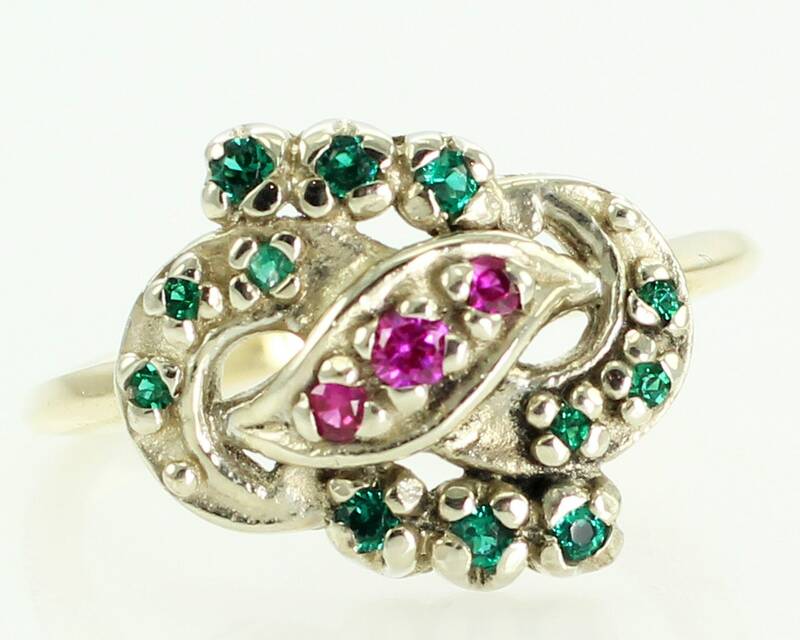 Made about 1950, this cluster ring features 12 round faceted synthetic emeralds and 3 round faceted synthetic rubies. 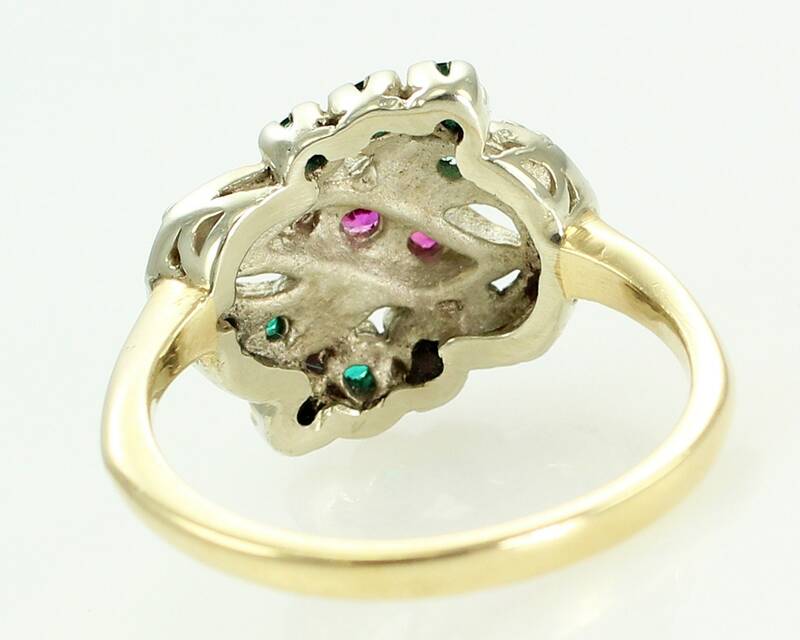 All stones are prong-set in a white gold head and the ring has a yellow gold shank. The head measures 13 mm x 14.5 mm and is 3.7 mm high. 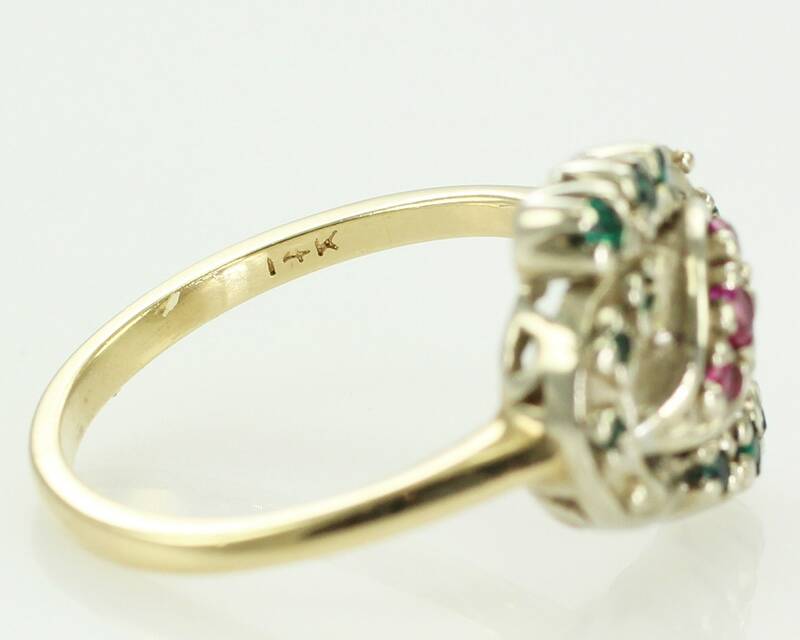 The shank tapers to 1.7 mm at the reverse and the ring is a size 6. 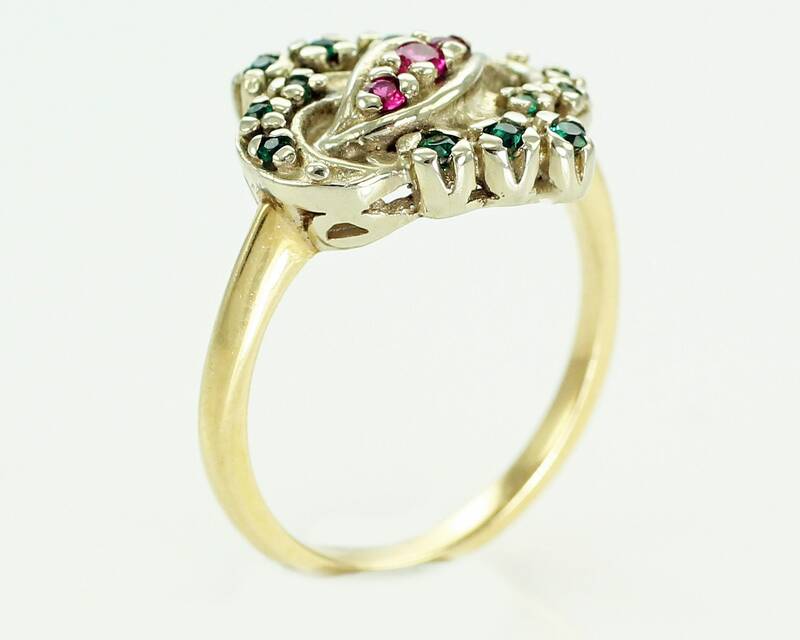 In very good vintage condition, with minor surface wear and no damage of any sort noted. CONDITION: In very good vintage condition, with minor surface wear and no damage noted. The ring has been worn little. 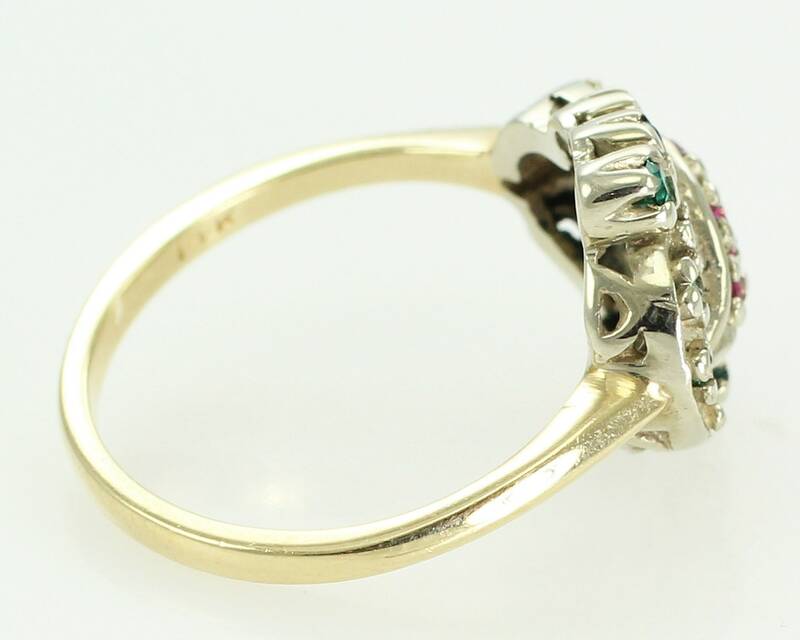 MEASUREMENTS: The ring is 13 mm x 14.5 mm at the head, with a height of 3.7 mm.